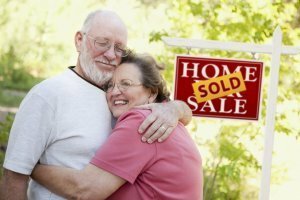 You may think that selling land is easy, but it can be much harder than selling a house. If you have a lot to sell, check out our latest post to find out more about the best way to sell land in Dallas Fort Worth! Do you own land in the area of Dallas Fort Worth ? Is your Dallas Fort Worth country actively valued? Planning to build? Is it in any way providing you with income? If your answer is no to these questions, it may be time to consider selling. Many times people have money that can be better invested elsewhere in the land.. If you are holding on to land in the Dallas Fort Worth area, find out what we can offer you and put some serious thought in putting your cash into an investment that will benefit you. If you choose to sell your land on your own, your marketing strategy needs to be creative if you want to sell quickly. Start by showing the potential of the land and cleaning it up to your best ability. Show what kind of houses other people in the area have built to help people imagine what they could do with the land. You must be patient as it may take a while for your lot. to sell. You wouldn’t want someone to assume that the land is bigger than they thought before. Network with investors in the area and talk about the lot you have for sale. You can attend events where land investors might be or join local real estate groups in your area. Word of mouth goes a long way when trying to sell real estate in the Dallas Fort Worth area. By selling your land to a professional land buyer like Top DFW House Buyers, you can save a ton of time and quickly sell your Dallas Fort Worth land. You’re not going to have to wait for a buyer because we are direct buyers. We handle everything and pay you in cash to ensure that the sale goes smoothly and quickly.